Indian River Golf Club is quite unique. As you make your way around the course, you'll experience over 200 ft. of elevation changes and beautiful views of Lake Frances. Mature oak and pine trees frame the boundaries on a number of holes and deviating the slightest off the fairway can quickly bring them into play. You'll find a lot of mounding on the fairways and their peripheries as well as around the greens. This can lead to the dreaded uneven lie and also make for some interesting up and downs around the green. Many of the fairway bunkers have large lips which limits how far you can advance the ball, making pars a lot tougher. ; even the bunkers around the green will be a challenge. 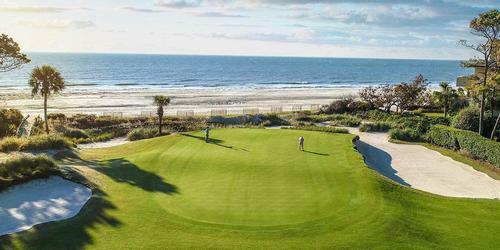 But what sets Indian River Golf Club apart from other golf courses in the area are the greens. 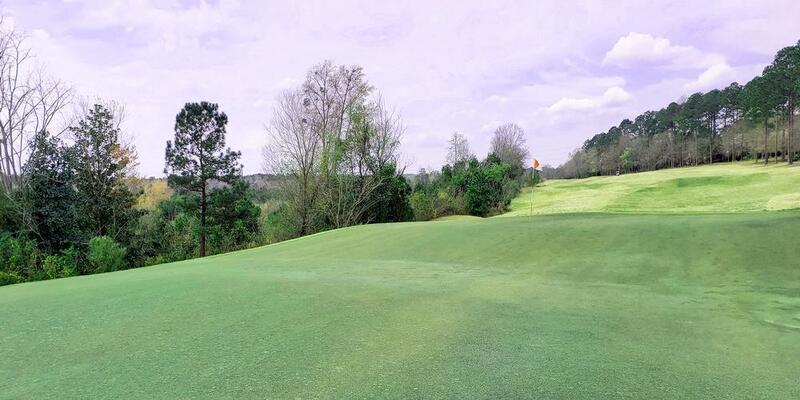 Massive Tif-eagle greens with lots of undulations, false fronts and a good deal of speed. Before your round, get loose and hit a few balls on the full length driving range. Be sure to hit a few putts on the practice green too, you'll want to have the speed down before heading out there and putting for real! The last three holes on the front side can make or break your round. 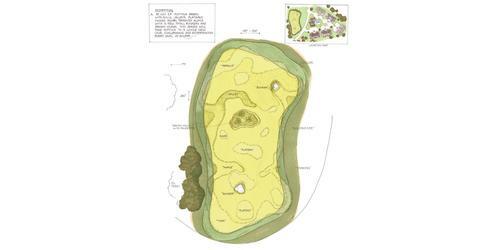 Number 7 is the course's #1 handicapped hole and also its most memorable. 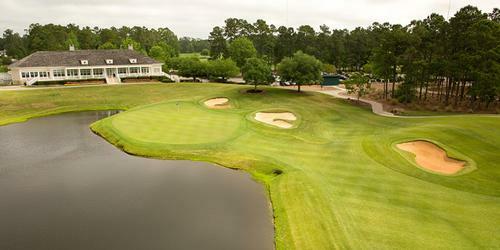 Play your tee shot out to the left of this 559 yard dogleg right. If you're a longball hitter, you could conceivably cut the corner of the dogleg an get home in two., but to me, the risk greatly outweighs the reward. Playing your layup shot out to the left around the tree line will set up a downhill approach shot into the green with a beautiful view of Lake Frances in the background. In the event you hit it over the green, there's a bunker that should stop your ball from going into the lake. Number 8 is an interesting par 3 that plays 135 yards over water with a deep bunker guarding the right and another guarding the left. There's also more sand between the water and the green and a lot of mounding around the green. It's a fun little hole. The par 4, 9th hole plays 364 yards and features the first significant carry over water, although it's less than 150 yards from the White tees. The fairway bunker on the right can come in to play as can the one on the left and the woods further left if you push it too far. Your approach shot plays uphill to a green that you don't want to miss left. The 14th hole is ranked the toughest on the inward nine. At 410 yards from the White tees, it's a long par 4 that doglegs to the right. You'll need to play your tee shot down the left side, but anything pushed left of the fairway will most likely find some trees. The large fairway bunker on the right shouldn't come into play for most golfers, however the trees that border the right side of the fairway have hindered the approach of many golf balls. The green is elevated with no bunkers around it; just a lot of mounding. Par or better here is an accomplishment. Two of the final three holes are par threes. Number 16 is a good looking 156 yard par 3 that plays downhill to a very large green with water on the right and devilish bunkers on the left and in back. Hitting the green in regulation is the easy part. Putting across the ridge on the left side is when things start to get interesting. 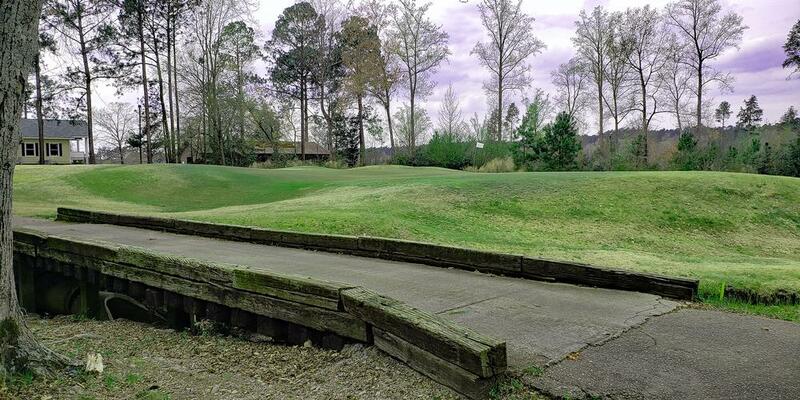 At 338 yards, Number 17 is a short par 4 that begins with a totally blind tee shot. If you're playing the course for the first time, as I was, you may have to guess at whether the hole goes to the left or right. Fortunately, I guessed right - literally! Inside the clubhouse, you'll find lots of logoed apparel from top companies as well as a wide assortment of balls and gloves. The Grill is open Wednesday through Sunday and offers up homemade barbecue; some of the best in the area. They also serve a lot of your usual clubhouse grub: burgers, fries, wraps and hot dogs, as well as adult - and kids - beverages. Last Word: The Indian River Golf Club is a course that will challenge any golfer, regardless of their ability. Course knowledge is everything out here as there are many blind shots. Knowing the greens and where to approach them is vital as well if you want to score well. It's a course that relies on accuracy and distance control off the tee, accurate approach shots and a good short game. Miss a green and you can easily be chipping over 10 yards straight up a hill. If you don't hit it hard enough, you may find it back at your feet.